Optimal fat burning zone is 170% to 185% of max heart rate. Tie a juicy steak to each leg before every run. If you come across a vicious dog, the smell will trick it into thinking you’re a similarly vicious dog who has just eaten some juicy steak, and it will leave you alone. IAAF rules state that if you slow down to a walk at any point during a long training run, you have to go back to the very beginning and start all over again, or incur a £2000 fine. Doing a speedwork session? Tying your shoelaces together will promote faster cadence. 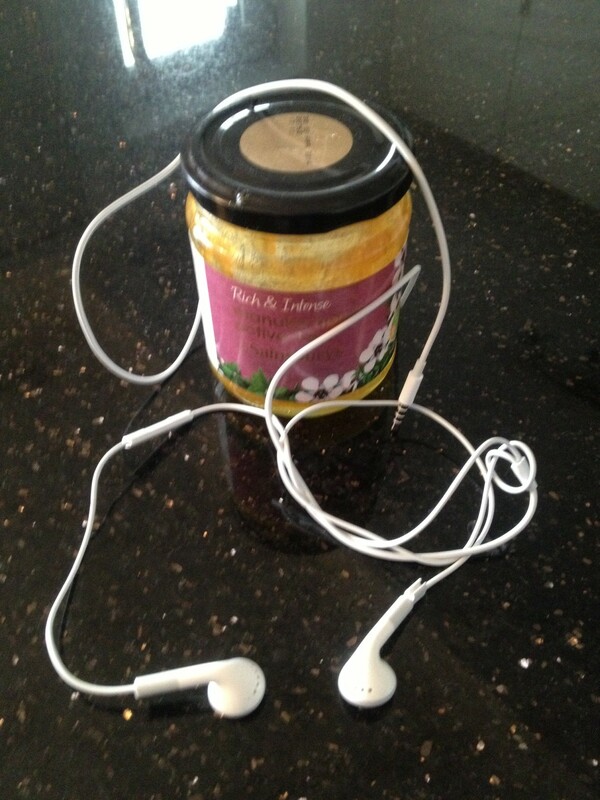 Dipping your earphones in honey will stop them from constantly falling out during a run. Sudden stabbing pains and/or blurred vision are a sign that your body is ready to tap into a secret glycogen store that not many runners know about. You should definitely speed up. Untying the shoelaces of fellow runners a few seconds before the start of a race is an old racing tradition and a welcome way to lighten everybody’s spirits. To avoid injury, running shoes should be replaced every 500 metres. The most biomechanically efficient running style is to keep both ankles together and hop like a big rabbit. If you find yourself flagging during a race, remember that for 15-20 minutes after taking an energy gel, we lose a large percentage of their carbohydrates and electrolytes through our sweat. Simply go up beside a fellow runner who looks like they might have taken a gel recently and lick the side of their face. Be sure to whisper the special code word (“Flamingo”) so they don’t just mistake you for some sort of pervert. Conversely, if the runner in front of you seems to be struggling, a sharp slap on their buttocks as you pass will shock their core muscles back into life and give them a much needed boost. Again, code “Flamingo” will ensure there’s no embarrassment or misunderstanding. If a fellow runner silently nods or waves at you, it’s a sure sign that they’re choking on something. Perform immediate Heimlich manoeuvre. Ignore any sounds of protest – that’s just air trying to get past the blockage. You will be disqualified from a race unless you stop and stretch the very moment your foot crosses the finish line. PS: I really really REALLY can’t stress this enough… please be sure to read the title of this list and take it in the spirit it was intended. The author cannot be held responsible for any injuries (including Code Flamingo related beatings) sustained by anyone stupid enough to take any of these seriously. They’re simply not true, just like that time when Dave Cooper from Year 2 told you that Santa would bring you a pet tiger if you ate all that frogspawn. PPS: Someone once asked me where I get ideas for my blog posts. I was out on a long run earlier today and genuinely started wondering what I could put on my earphones to stop them falling out, and honey was the first thing that came into my mind. The rest pretty much wrote itself over the next 11 miles. I think I might be my own personal nemesis, which would certainly explain a lot. If you want more of this nonsense, I’m on twitter (@borntoplodblog) and have recently started a facebook page. If my FB page gets a million likes, I will donate £2 to charity or clean out the gutters at the back of the house. Not both though. Believe me, I was tempted. But then worried it might attract bears. Absolute brilliance. This post deserves to be Twitter-shared and spread for the rest of time. I don’t know how you can concentrate long enough to write a post in your head while running… I can manage tweets but that’s it. Perhaps it will come with practice! Also, the correct way to do hill reps is to shuffle back down the hill on your bottom to avoid injury. I will have to try the flamingo. Avoid getting new trail shoes dirty by running through the mud on your hands. When performing a snot shot, always aim for a fellow runner. They’ll appreciate it as a cheap alternative to energy gels. Oh how I wish I was witty enough to add to the list. But I’m not. Instead, just one tip: buy Yurbud earphones. I swear by them. I’ve had the falling-out problem for years and honey really didn’t do the trick for me either. But since running with Yurbuds, I haven’t had an issue. Ever. Honest. (And no, unfortunately I’m not being paid by them to write this…) Those puppies stay put! Don’t come all “I’m not witty” with me. I’ve read your blog, so there. Will be trying to blag some yurbuds ASAP. Just so happens to be a guy with enuff pairs of shoes to change every 500m….. If I even hear the wod ‘flamingo’ whispered anywhere in a 250m radius of me at Thunder Run this year, I’m legging it …! Fab post and loved the thread it’s spawned on Fetch! Oh, and the French word for flamingo is “flamant”. Just in case.